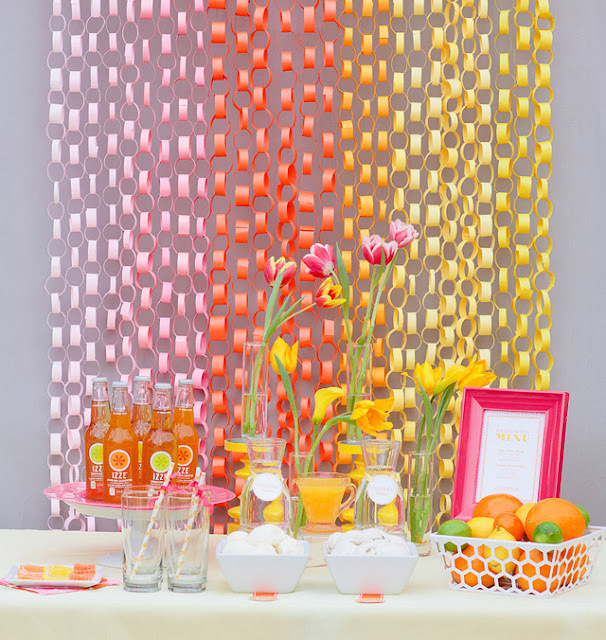 This fun paper chain backdrop is a great way to add a lot of color and impact without spending a lot of money. It is even a party decoration project you could have the kids help with, saving you a lot of time. I think a fun red, white, and blue version would be a great way to dress up your 4th of July barbecue. You can check out more beautiful images from this wedding, including the paper chain backdrop, over at Floridian Weddings.